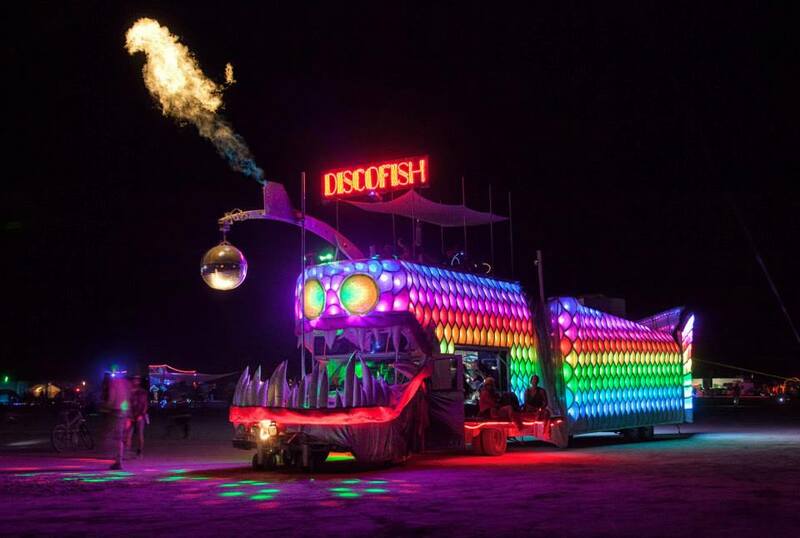 The DiscoFish was built on an existing chassis. With the goal of being all-electric with articulating, hydraulic wheels an existing chassis would not suffice for the TechnoGecko. 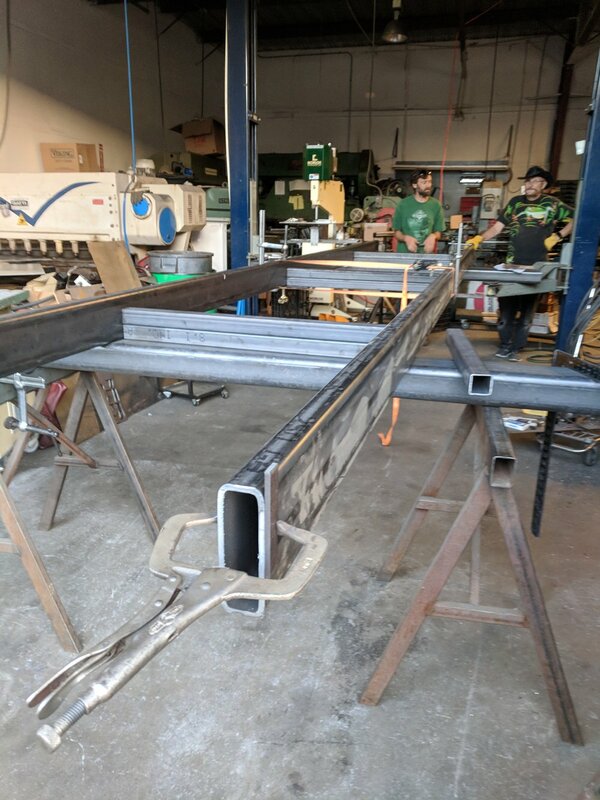 A custom piece would need to be built from scratch and fabricated by our team -- gotta save that money! We had a lot of loads to consider including but not limited to the batteries (they're not light) and the burners (lighter but more abundant). The best TechnoGecko minds were on it and after crunching numbers, revising loads, and reworking the metrics they figured out how much weight each module had to bear. What did the rest of the crew learn? 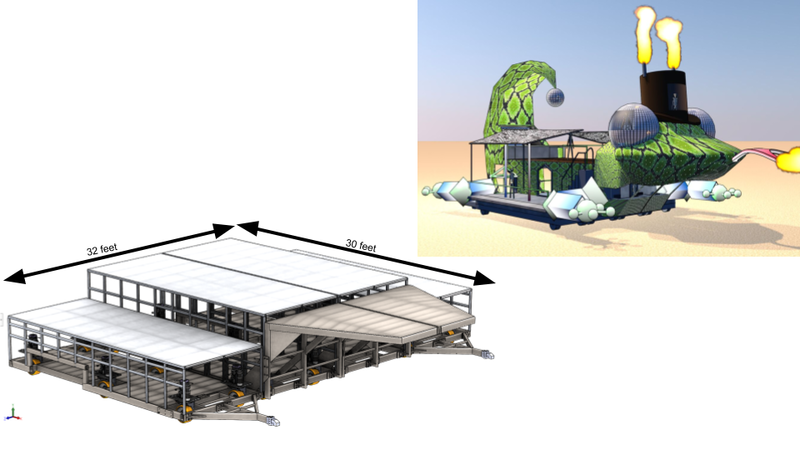 Through a very sophisticated method (marking out a set space, cramming as many TechnoGecko crew into that space, weighing them, then dividing the weight by the total space) that the average art car can expect roughly 100lbs per square feet of load aboard from burners. That's a lot of weight for the chassis to bear... just from Burners. 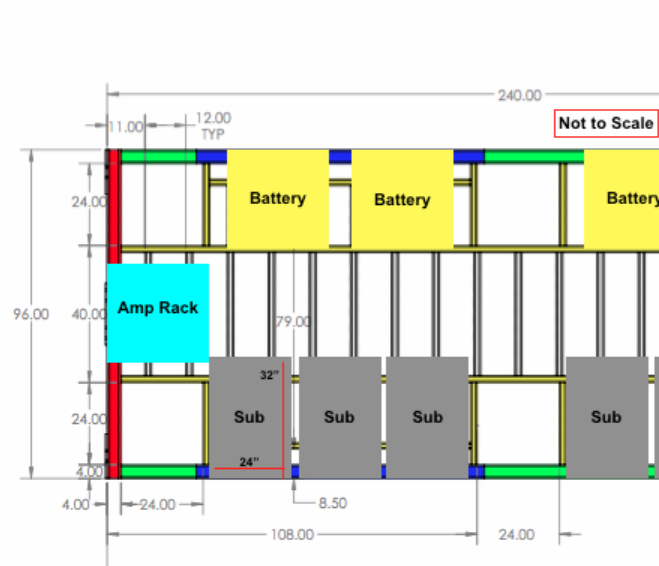 The engineers on the team worked out configurations that fit the constraints and the vision. 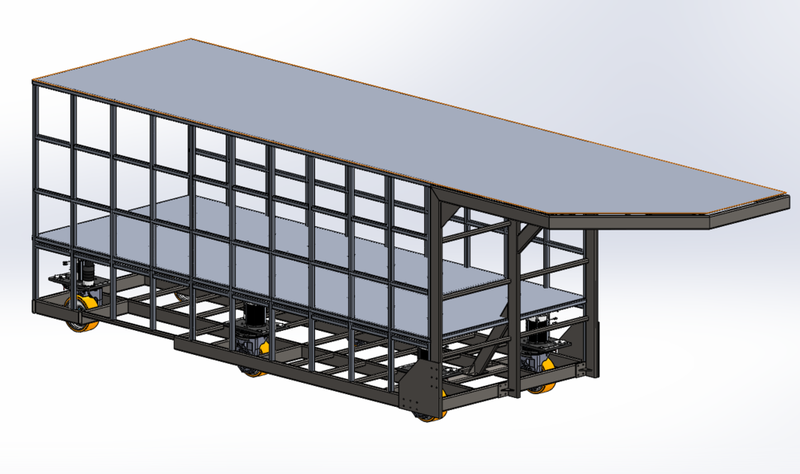 Below are a few of the chassis designs. With no time to spare, the parts were ordered and some more man hours were due. The skilled craftsmen in the crew, and those willing to learn, joined Robert at the fabrication facility. They used all the clamps then some to prep the piece. It was quite a sight! After a day of welding, we are proud to announce we have a custom chassis! Some say it is over engineered, we say it is extra safe. There will be several of these made to allow the TechnoGecko to take on its final form over the next few years. Keep in mind this is a multi phase / multi year project. Want to see it done faster? Think it's cool and want to help? We are seeking donations and volunteers! Hope to hear from you! More to make...back to work we go.